The latest bit of strange goings-on has to do with Rick Warren, who once again has jumped into the center of a huge brewing controversy. He has publicly endorsed a book authored by a female pastor who is closely aligned with the leaders of the New Apostolic Reformation, the self-proclaimed “apostles” who are heading up this 7 Mountain Mandate for Dominionism. We first became aware of this via a post on Apprising Ministries titled “RICK WARREN TEACHING THE LAW OF ATTRACTION?“ This article talked about a book being republished, scheduled for release this October (symbolically on 10/10/10), authored by Dr. LaVerne Adams. Rick Warren endorsed and wrote the Foreword to this book titled Driven by Destiny: 12 Secret Keys to Unlock Your Future, which appears to be indicative of a new genre of New Thought/Word Faith self-help books. Clicking on the links in the Apprising Ministries article, and following the various rabbit trails, we quickly ended up deep in the belly of the New Apostolic Reformation (NAR) and the 7 Mountain/Sphere agenda. The prophetic ministry of Dr. Chuck Pierce has literally transformed my existence in very practical ways. With his prayer focuses and timely prophecies, I was able to cycle out of some very dysfunctional patterns and make stride toward my apostolic and prophetic calling to the nations. …we are honored that Cathedral of Praise Community Church and International Kingdom Strategy Center, where I have served as the senior pastor since 1997, is recognized as a “Church of Zion.” This connection with Glory of Zion International strengthens our resolve to see the powerful prophetic flow of deliverance transform people’s lives to help them reach their fullest potential while expanding God’s Kingdom. As we began to plan for the transition of Global Harvest, it became obvious to Chuck that GOZ would not be an adequate organizational basket to receive another ministry like ours. Consequently, he, along with both of us, moved ahead and formed a new organization called Global Spheres, Inc. (GSI). We are now in the process of moving our administration and our ministry to GSI as of September 1, 2010. This will create a new Apostolic-Prophetic-Evangelistic-Deliverance Governmental Structure that will be ready to be used in the nations. This will be wineskin for the transformational thrust to “turn the world upside down in this era”…. This new wineskin will be both apostolic and prophetic – a new, sharp threshing instrument with teeth…. LaVerne Adams’ close association with the NAR leadership would be cause for concern in itself. But the fact that she is a leader so early on with the NAR’s emerging Global Spheres organization is even more disturbing. Why is Rick Warren promoting an author who is so closely aligned with this destiny-driven mandate to take over the “spheres” of the world? It is likely due to the fact that he is working on the same agenda. This sounds eerily similar to the “God’s Dream” motif used by so many leaders of this syncretistic global transformation movement. To assist you with finding your divine destiny, you can sign up for any number of “Life Coaching Packages and Services,” including a diagnosis, assessment, personal consultation, personal life coaching, teleconference, or wealth building, all of which carry expensive fees. Using themes of “empowerment” and “prophetic personal deliverance” in classic name-it-and-claim-it NAR style, Drs. Trimm and Adams, along with Bennie Lagos of Rick Warren’s Saddleback Church, were featured on on “Deliverance to Destiny: Christian Women’s International Empowerment Conference” in May 2008 in the West Indies. Adding the concept of “destiny” to the already aggressive 7 Mountains Mandate makes for a volatile combination. Which ideas about “destiny” will go beyond the personal “name it and claim it” type of self-help teaching? How will “destiny” be incorporated into the newly forming Global Spheres organizational agenda of Chuck Pierce? Is it possible that the term will be used in the sense of “manifest destiny,” both personal and corporate? Manifest Destiny was the 19th century American belief that the United States was destined to expand across the North American continent, from the Atlantic seaboard to the Pacific Ocean…. Advocates of Manifest Destiny believed that expansion was not only wise but that it was readily apparent (manifest) and inexorable (destiny). From Latin, de-, “from” + sidere, “star”‘ something given from the stars or by a higher power, supposed to operate as the preset plan or design of an individual’s life. Basically, the expression that results from the full unfolding of one’s innate potential. Some believe that one’s destiny may be ascertained by divination or proclaimed as the prophecy of a prophet or sibyl. In the belief systems of many cultures, one’s destiny can only be learned about through a shaman, babalawo, saint or seer. In this esoteric sense the concept of destiny has a very unbiblical foundation. It is more rooted in the occult idea of divination, and the idea that one can create (or “envision“) their own future. This type of false teaching using mystical imagination is already wildly popular in the evangelical world. It presupposes that man can ascertain his divine destiny and actually make it happen, including by such methods as “positive thinking.” In the NAR, this is related to a heresy that people can issue “decrees.” Dr. Adam’s blog post quote (cited at the beginning of this post) seems to come right out of this false teaching. Chironna has authored his own self-help destiny-themed books, including titles like Seven Secrets to Unfolding Destiny, Stepping Into Greatness, and Live Your Dream. He is called a bishop, a prophet, and an apostle, and he is solidly linked with the leaders of the New Apostolic Reformation such as Heidi Baker and John Arnott, Rick Joyner, Bill Hamon, Kim Clement, and finally – most significantly – Lance Wallnau, who is the chief promoter of the 7 Mountains Mandate. Chironna was featured at the “Let the Eagles Gather: The International Gathering of Prophets, Apostles and Intercessors” conference in Orlando in August 2009 along with top NAR “apostles” Chuck Pierce and Cindy Jacobs. Chironna must be considered important in these circles, because he is also listed as an endorser of the Frank Viola and Leonard Sweet’s recently released Jesus Manifesto book. Underscoring all of the concerns voiced so far is yet another prophetic message by Dr. Chironna posted on The Elijah List, seemingly talking about the Latter Rain’s concept of a New Breed, titled “The Next Decade: A New Generation of Blessings, Entrepreneurs, and Creative Expression will Emerge.” In this key article Chironna says there is a “generational shift” that will be “strategically prepared, strategically postured, and strategically positioned for what wants to emerge out of the invisible into the visible relative to Kingdom expansion and enlargement.” Chironna says this requires “the opening of strategic portals, gateways and places of access and transition and change” for the “new era that is dawning.” Of course, all of this “prophesying” about the future has to do with the concept of destiny. Destiny appears to be an up and coming word, perhaps ‘destined’ to replace ‘purpose’ as the new mantra for the kingdom-building crowd. Destiny has a touchy-feely aspect to it that makes it personally appealing to those with lustful ambitions for power and wealth. It also appears to be yet another code-word for Dominionism. 1. At least to the public eye, in the mainstream evangelical and secular media these leaders have these types of reputations. Those in the discernment community have expressed concerns. 5. C. Peter Wagner letter, “AN URGENT APPEAL FROM PETER!” July 19, 2010. 8. 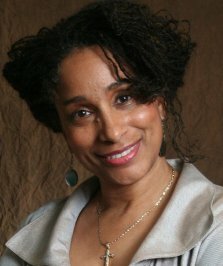 LaVerne Adams’ is prominently featured at the top of the list of North American leaders in the Global Spheres organization on this webpage, http://globalspheres.org/northamerica.asparchived on July 8, 2010. 9. “We are Advancing the Kingdom in 2010: God is truly moving on the heart of people all over the world,” letter by Chuck Pierce, http://globalspheres.org/. Page archived July 8, 2010. 12. “About Global Spheres, Inc.,” http://globalspheres.org/about.asp, Page archived July 8, 2010. This page contains video of Chuck Pierce describing this. Bold added. 25. John Lash, The Seeker’s Handbook: The Complete Guide to Spiritual Pathfinding (Harmony Books, 1990), p. 255. 30. See Herescope post http://herescope.blogspot.com/2006/05/kingdom-decrees.html for an explanation of this heresy. 32. Quote taken from the report by Professor Johan Malan, “George Otis and his Fallacious Teachings,” subsection titled “The collective destiny of groups,” http://www.deceptioninthechurch.com/otis.html. Otis is linked to the NAR and its Dominionism at many levels. 36. The Seeker’s Handbook, pp. 353-354. Emphasis added. The original appears at Herescope right here. DR. LAVERNE ADAMS AND RICK WARREN DRIVEN BY DESTINY? IS THIS DOCTRINAL AND SOUND DR. JOHN PIPER?